The DHSEM Mitigation and Recovery Program Report for available to review or download. Below are photos from the past week related to mitigation and recovery work. 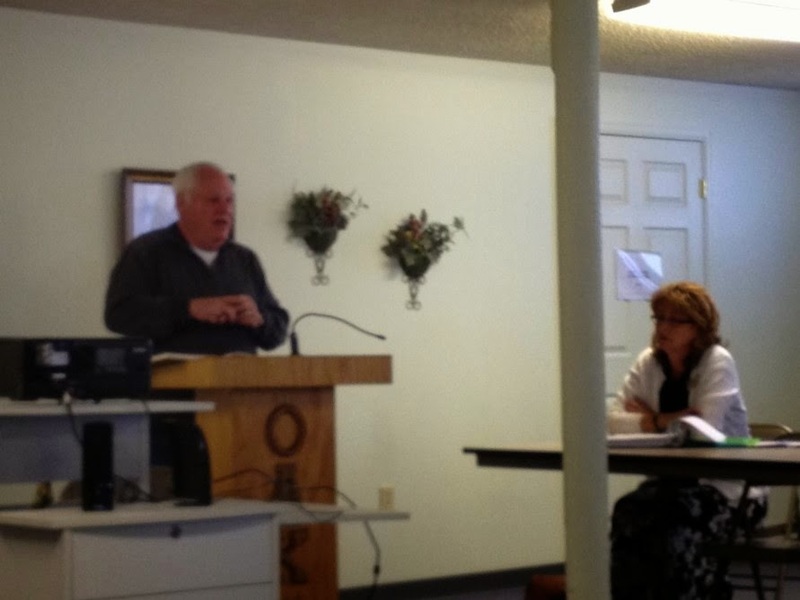 Liaison Art Storey discusses basic information ideas at the Weld County VOAD meeting on March 20, 2015. View or download the complete Colorado Daily Status Report for March 23, 2015. View or download the complete Colorado Daily Status Report for March 20, 2015. View or download the complete Colorado Daily Status Report for March 19th, 2015. DENVER — Wednesday, March 18, 2015 — The Division of Fire Prevention and Control (DFPC) today presented its recommendations and selection of Rifle-Garfield County Airport to Gov. John Hickenlooper as host community for the Center of Excellence for Advanced Technology Aerial Firefighting. ​"We were fortunate to have a number of outstanding candidates to consider for the Center of Excellence and it was a difficult decision with both urban and rural applicants, but Rifle and Garfield County stood out as the best choice," said Hickenlooper. "As home to the Upper Colorado River Interagency Fire Management Facility and with its proximity to the Colorado Army National Guard High Altitude Aviation training site, we know the Center will be better positioned for success in Rifle which will benefit all of Colorado. This decision will serve as the best way forward to meet our shared goal of protecting lives, property and our natural environment from devastating wildfires,” Hickenlooper said. The Center of Excellence was created in Senate Bill 14-164, which also authorized the State Fire Division to purchase or contract for aerial firefighting assets. During the legislative session, proponents of the Center explained that there is currently no mechanism for determining the efficacy of aerial firefighting, and the need exists for an innovative, science- and data-focused research entity. For this reason, the Center was held up as an integral part of ensuring the successful implementation of Colorado's own aerial firefighting fleet. “In short, the Center of Excellence will research, test, and evaluate existing and new technologies that support sustainable, effective, and efficient aerial firefighting techniques,” said State Fire Director Paul Cooke. Because several jurisdictions in Colorado expressed interest in hosting the Center of Excellence, a means to gather information from interested jurisdictions had to be established. The Division elected to go through a formal Request for Information (RFI) process as a way to collect information about the various benefits of interested jurisdictions in a non-binding fashion. “Each of the seven communities that were vying for the Center has something unique to offer”, Cooke said. "In the end, it really comes down to which location offers the most significant and mutual benefit to the state and the host community." The City of Rifle is located on the Western Slope along I-70, less than one hour from Glenwood Springs and Grand Junction. · The location offers proximity to open lands and uncontrolled airspace with a variety of terrain, close proximity to high-risk wildfire areas, high altitude locations, and nearby watersheds that source much of the drinking water for nearby states. · The area is where Colorado sees the majority of its wildland fires. · Local understanding of the needs and risks for firefighting personnel and operations. · Nearby Higher Education institutions willing to tailor programs to graduate students with skills to staff the Center in the future. · The area is host to the Upper Colorado River Interagency Fire Management facility, which houses BLM, USFS, Colorado River Fire Rescue, and DFPC resources. · Close proximity to the Grand Junction Air Center which provides tactical aircraft resources (air tankers, smokejumpers, lead planes, and air attack) for initial attack and large incident support. · Close proximity to the Colorado Army National Guard High-Altitude Aviation Training Site (HAATS). · Free, readily available, suitable office space for three years. 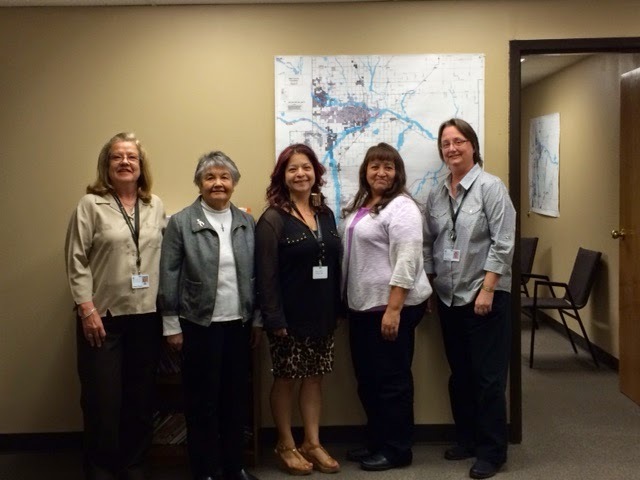 · Grant writing assistance from the city. · Potential economic development benefits to the area. Rifle/Garfield County also touted the willingness of its higher education institutions, government partners, and business organizations to embrace the activities of the Center of Excellence and build on their existing expertise in workforce training, curriculum development, firefighting experience, and related mutual interests to support the success of the Center of Excellence. Further, this jurisdiction has garnered region-wide support for hosting the Center, with support from more than 21 different public and private entities throughout Colorado. View or download the complete Colorado Daily Status Report for March 18, 2015. Read this week's DHSEM Mitigation and Recovery Program Report for March 18, 2015. This is the progress pie cart that is distributed monthly. 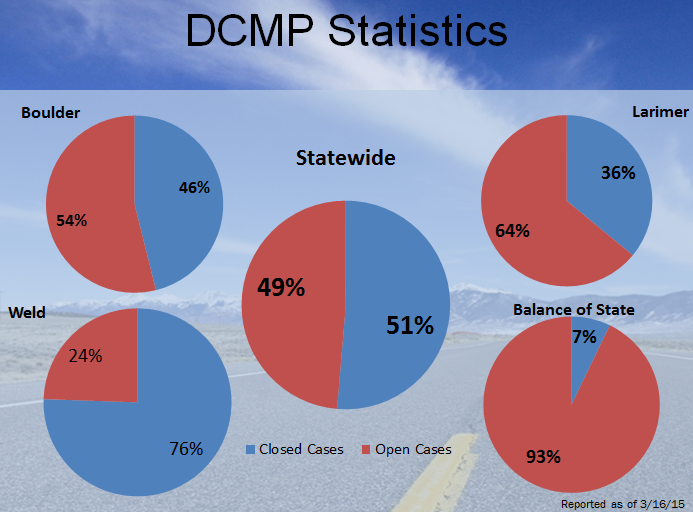 It captures all closed and all open cases for disaster case management center and includes a statewide overview. 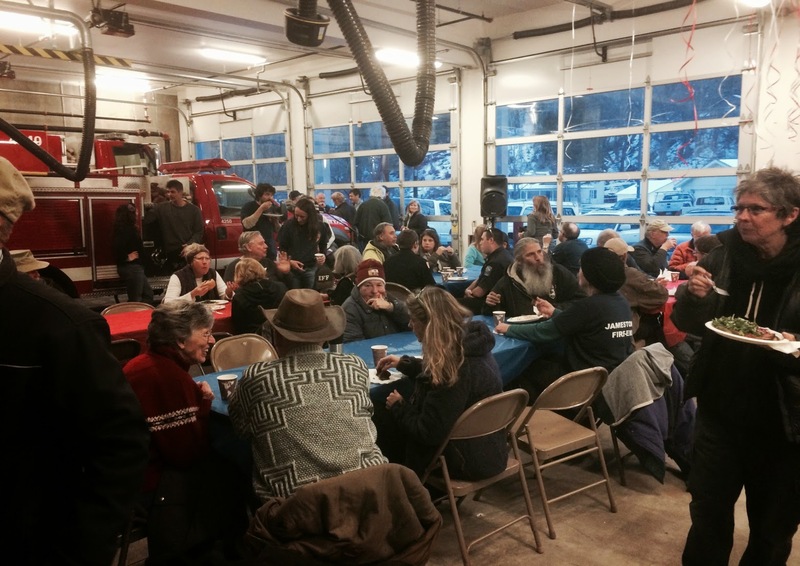 The Town of Jamestown celebrates the opening of their new fire station that was constructed using funds from CIRSA and DOLA. 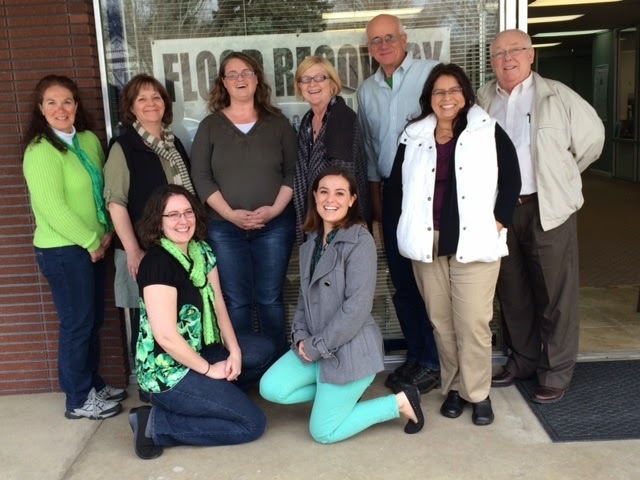 "Each step of our community's recovery from the 2013 Flood signifies the strength and resilience of our community and an acceptance of the new normal," said Mayor Tara Schoedinger at the event. 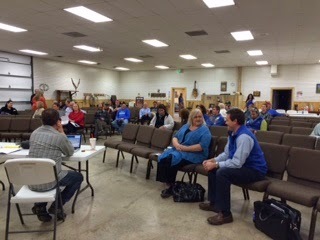 The Larimer Long Term Recovery Group meeting held on March 10, 2015 in Loveland. View or download the complete Colorado Daily Status Report for March 17, 2015. View or download the complete Colorado Daily Status Report for March 16, 2015.